If you’re looking to get ahead in your career, going to rehab for an alcohol problem is probably not the first thing that comes to mind. Time spent in inpatient rehab for any mental health problem — especially for a substance addiction, which can carry a heavier negative stigma than other mental health conditions — is not exactly a big resume-builder. What many people don’t know, however, is that addressing an alcohol problem now can have a pretty significant professional payoff in the future. It may go without saying that these three very important positive outcomes are mutually reinforcing. Better physical and psychological health, or a higher level of happiness in a relationship with a significant other, naturally has an impact on job performance and professional satisfaction. Such findings regarding the link between successful long-term recovery from alcohol and job success align closely with my own more anecdotal observations as a clinician working with alcoholics in early recovery. Those first days and weeks of abstinence can be fraught with anxiety, depression, and other uncomfortable withdrawal symptoms. As time progresses and clients stick with an individualized plan of medical and clinical care, they report higher levels of self-acceptance, greater connectedness to others, and reductions in withdrawal-related symptoms of distress. Moreover, in the first three months after rehab, many clients report they are successfully employed in a job or enrolled full-time as a student and have a better overall quality of life. What’s the explanation for these mutually reinforcing, job-related outcomes of rehab? Most inpatient rehab and intensive outpatient alcohol treatment programs spend a lot of time helping clients develop life skills, including self-care, tools for effective stress management, and healthy interpersonal communication. Additionally, most high-quality rehab programs devote time to helping clients prepare for their post-rehab vocational lives. That way, clients can smoothly transition back into their jobs or find other jobs that better suit their commitment to recovery. This rehabilitative process can involve career counseling, helping clients practice for job interviews, resume preparation, and developing better organizational and time management skills. On the flip side of these benefits of getting treatment are the exorbitant professional and occupational costs of not proactively addressing an alcohol problem. The longer problem drinking goes untreated, the more severe the problem and its consequences. Such alcohol-related issues will do nothing to help your career, eventually causing even the highest-functioning alcoholic to take a professional nosedive. 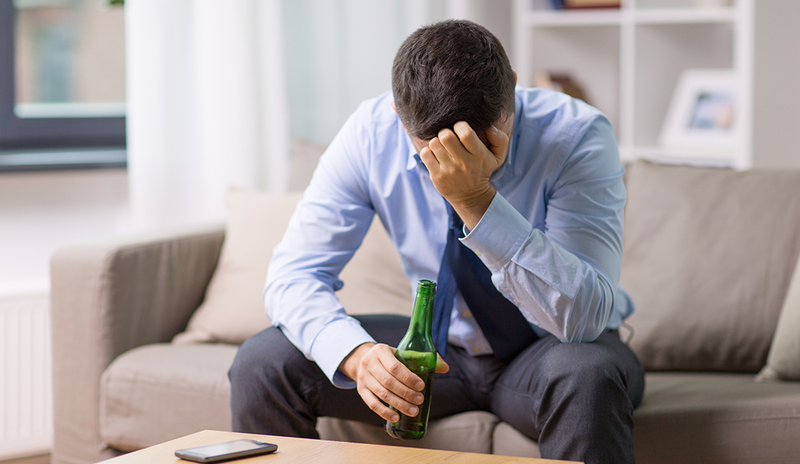 If you feel you may struggle with a drinking problem, it is possible that alcohol rehab will be an invaluable investment in your personal and professional futures. Rehab can protect your job from the negative consequences of your drinking and better equip you with the tools and life skills you’ll need to take your career to the next level. It is even possible that in rehab you’ll find a renewed sense of purpose for what you do — or discover a whole new vocation that is more rewarding than you could have ever imagined. Anna Ciulla is the vice president of clinical and medical services at Beach House Center for Recovery.